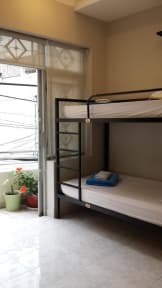 En primer lugar, nosotros, Long Hostel, queremos enviar nuestro más sincero agradecimiento a todos los huéspedes que nos han apoyado durante tantos años. We spent two nights one month ago.. and we decided to come back for our last night before going back home. Great stay, nice staff, good breakfast and perfect free beer. Thank you very much! El personal es muy amable, siempre dispuestos a ayudar. Tienen buena variedad de desayunos de gran calidad y lo mejor, está incluido en el precio de la habitación. El ambiente está bien, siempre hay gente en el hall o en el comedor con quien charlar. Las habitaciones no son nada del otro mundo pero suficiente, el único pero es que nuestra habitación no tenía ventana y la ducha era la típica sin cortinas, por lo demás muy bien. The owner is one of the nicest and happiest person in the world, she always do her best to make you feel comfortable, to make sure you're enjoying your time in the city, giving you advices, showing you the best way to reach places or whatever you are looking for, also she provide different options to hire a tour to visit the most important places inside and near the city. 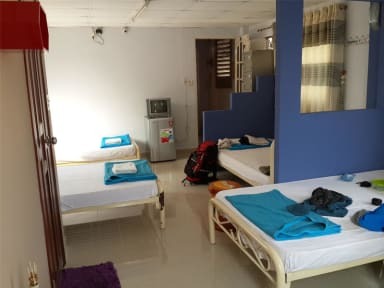 Breakfast is good, towel and the key of an spacious locker (to put a cabin baggage and some other stuff) are provided. El staff es super amable, buena ubicación y siempre encontré todo limpio. I was only here for one night but I felt really comfortable. Everything was really clean, the bathroom was really nice and the staff was helpful. The only thing was that I was in the 5 floor with no elevator but if I ever go back I’ll definitely stay here again.